The solid state drive, more commonly known as the SSD, is one of the biggest innovations in personal storage of the last decade. While we were once making use of the clunk HDD that tended to break down every few years, SSDs hit the market and completely revolutionised the way that data is stored. Solid state technology is by no means new, and has been successfully implemented into a number of storage solutions over the years – such as thumb drives – but only recently have we had access to larger SSDs that were capable of handing the intense data retention that modern desktop computers needed. They also proved a huge boon to gamers, who were now able to store their games to an SSD, meaning almost instantaneous loading for most games – from the latest AAA titles to a simple game of online slots Australia – as well as a number of other benefits. These are the best SSDs for modern gaming. Samsung has long been at the top of the SSD market, and they’ve produced some of the best drives on the market, with the Samsung 860 EVO being the absolute best that they offer. This is as fast as SATA gets, and boasts the reliability that Samsung has become famous for. It has a capacity of an entire terabyte, and ensures sequential IO of 550.520 MB/S rear/write, as well as endurance of 300 TBW. While it’s vastly more expensive than traditional hard drives, the 860 EVO is an entirely new class that’s reserved for those wanting only the best for their gaming rigs. Crucial is another big name in computer storage, and their MX500 is the best SSD that they have to offer. With read and write speeds only a bit slower than the EVO, it’s a solid choice for anyone wanting something a bit cheaper but with similar specs. It doesn’t come near the performance of NVMe, but thanks to its large capacity and 6Gb/s SATA speeds, it’s a serious competitor. This is the SSD for those gamers that tend to horde as much data as they can get their hands on, but still want the reliability and speed that only solid state devices can provide. 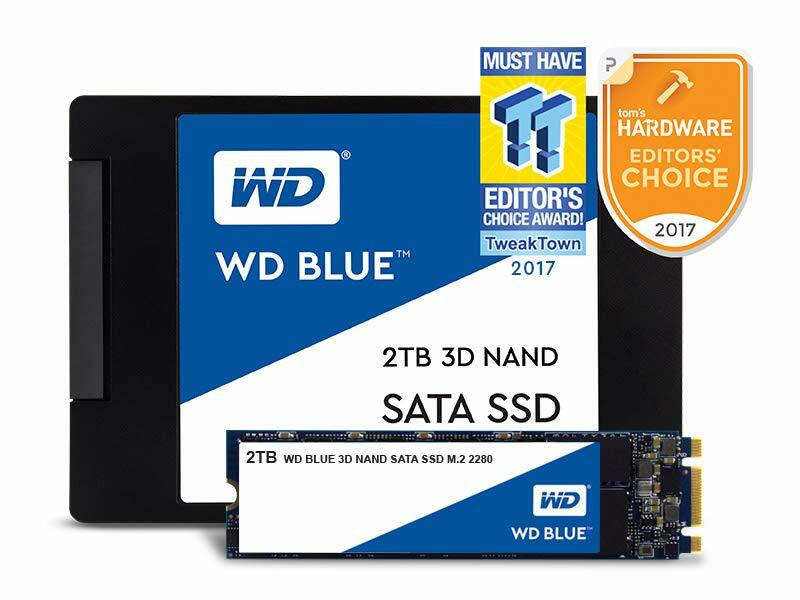 With 2 terabytes of storage, the Blue is a class of its own, and offers the same SATA speeds of 6Gb/s, along with great sequential performance. It’s also much more expensive than almost all the other SSDs on this list, and would be better suited for those building a gaming/workbench hybrid. By far the most expensive, but also by far the SSD with the most storage to offer, the 860 EVO 4TB is Samsung’s answer to low capacity storage. It provides the same sequential speeds as the 1TB equivalent, just with an extra 3 terabytes, and incredible durability. It’s more expensive per GIG than others in the same league, but still remains a strong choice.